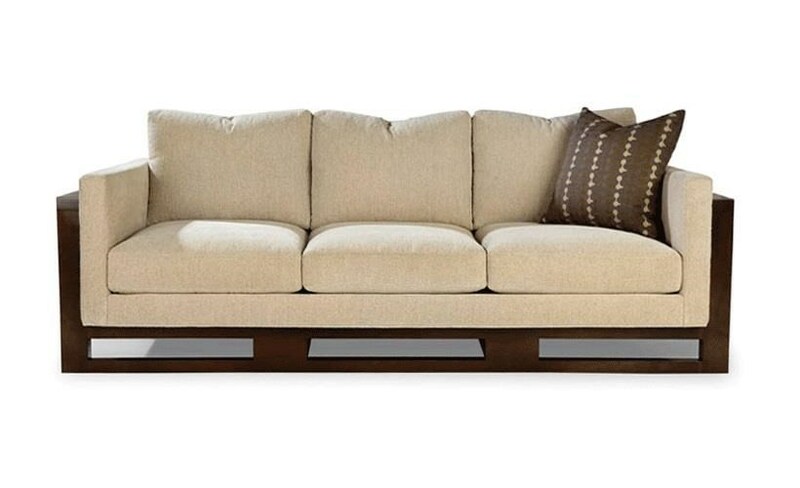 With its wood frame and cutout base, this sofa puts a fresh twist on a living room staple. The look is distinctly sophisticated and contemporary, featuring clean lines and a floating silhouette. Designed for comfort as much as style, the sofa offers Ultraplush foam core seats and Matrex webbing support. Elevate your living room or seating area with this chic and comfortable sofa. The Lloyd Sofa by Thayer Coggin at C. S. Wo & Sons Hawaii in the Hawaii, Honolulu, Oahu, Hawaiian Islands, Waikiki, Diamond Head, East Honolulu area. Product availability may vary. Contact us for the most current availability on this product. Pillow Throw pillow not included.